I would like to have the paranormal ability to heal sick people by using the energy of thought projection. Horses for courses. After reading the story of my life so far, some readers would be surprised that I have some common sense. While others would be surprised by my lack of it. Considering all the options, I believe the surprise would be that I am an ordinary, reasonably sensible man living my life to the full. At the same time embracing the Scout Law ‘To help other people at all times’. When writing descriptions of your hero, what feature do you start with? A reflection from a looking glass! All the material in the seat of my pants bare witness of my propensity to ‘Fly by it.’ Becoming an author just happened when my autobiography decided to be born. Previously, I had written articles for journals and year books on different topics. The research I needed to do required plotting. Thereafter, the articles virtually wrote themselves. I can therefore admit to being a bit of each. Did you learn anything from writing this book? If so, what? Yes. I learned that the way I write, is not the way people read. My communication fortẻ is speaking, I have learned it is essential to tailor the speech to the caliber of the audience. The same applies to readers, but as they are an unknown demography, it is hard to assess their levels of comprehension. My sense of humour is dated, as it is subtle and not always in your face. Adjusting to today’s dumbed down society and their sense of humor is a very difficult undertaking for me. However, while I’m learning I’m still living! Contemplating my entry into this incarnation, from where I am now, I am able to formulate various scenarios regarding it. • At the moment of my conception, my soul knew of the difficulties my mother would experience while giving birth to her child and therefore chose to be born to my parents in a damaged physical body. • The forceps slipping during my delivery was an unforeseen accident, as was the subsequent struggle for life of the child. During this struggle, my present soul took over from the soul which had originally chosen my parents to fulfill its karmic requirements. • However it was organized at birth, the result is I AM HERE NOW. My soul has experienced much during the seventy-one years it has inhabited this damaged body on its way to fulfilling the contract it made with spirit prior to incarnation. My gut feeling is I am a ‘walk in.’ When the soul, which had chosen my parents as its vehicle to incarnate through, found the physical body had been damaged due to an accident it returned to the Soul Pool. When the soul left the damaged body and the baby was dying, my soul, which was waiting in the Soul Pool for an appropriate vehicle to incarnate into, ‘walked in.’ This is one explanation for the lack of feeding and lethargy during the first few days of my life. Charles was born in London U.K. in 1932. During his birth the forceps slipped, resulting in brain damage to the motor control nerves of his right side and causing total body spasticity. However, his intellect was not damaged. Throughout his life the two adversaries, controllable brain and semi-controllable body, always needed to be balanced. After several years of work and study he became a Chartered Production Engineer. 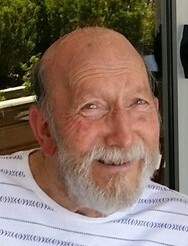 In 1971 he emigrated to Australia and became a senior examiner in the Australian Patent office. 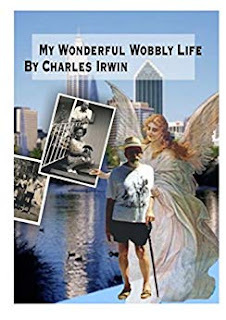 This autobiography illustrates the rhyme: “He started to sing as he tackled the thing, That couldn’t be done - but he DID IT!” Charles chronicles his journey from useless to useful, with humour and joie de vie. He pays tribute to friends who only gave him help when it was asked for. At a young age he recognized his psychic abilities and, by using lessons at the end of each chapter, shares some insights with readers. Hello Judith, it is a pleasure to have my book in your library. Thank you for hosting its tour and giving it exposure. I have always been a frequenter of libraries. Books ‘Straight from the Library’ have always been new adventures waiting to be embarked upon. Keep stocking the shelves and stamping the books with Love, Light and Laughter. So many things can go wrong with childbirth, I'm glad you and your parents thrived! My own child was injured during childbirth and has a life long mental instability.